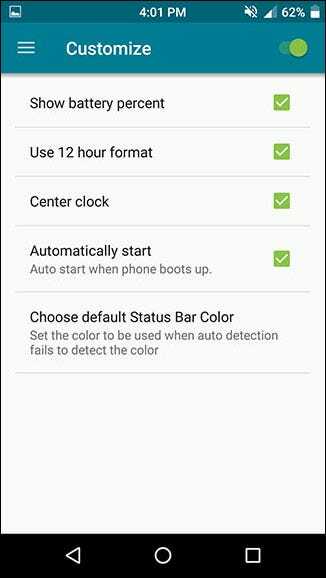 Have you ever wanted to change the status bar on your Android phone or tablet? Maybe you wanted to change the position of the clock, add a battery percentage, or just get a different look. 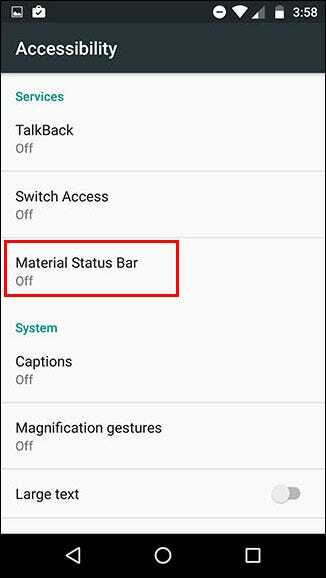 Whatever your reason, there’s a simple way to customize your status bar–and it doesn’t even require root access. 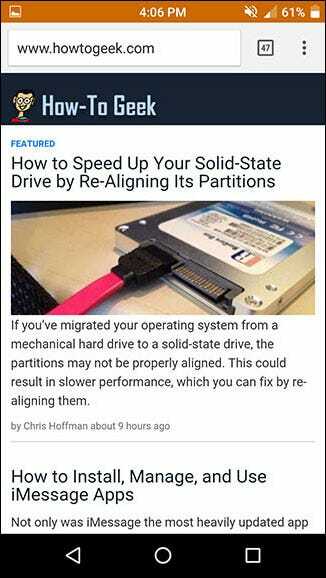 This is possible thanks to an app called Material Status Bar, which you can download for free from the Google Play Store. Download and install the app from the Play Store, find it in your app drawer and open it. 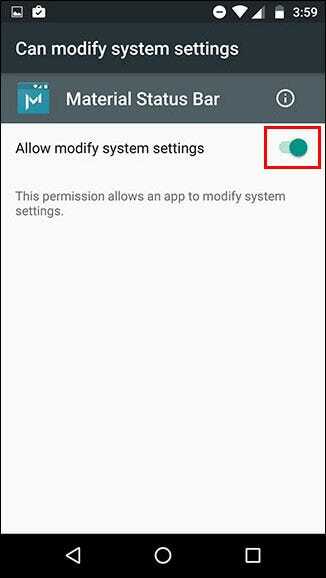 You’ll be prompted to grant the app some pretty far-reaching permissions, but they’re necessary for the app to work. 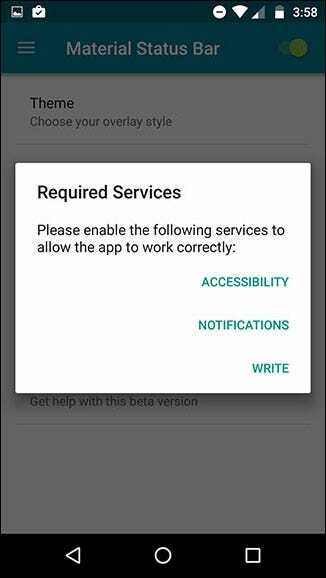 The three things you’ll have to toggle within Android’s settings are Accessibility, Notifications, and Write. The app will give you shortcuts to all three. First off, tap on Accessibility. On that screen, tap Material Status Bar. 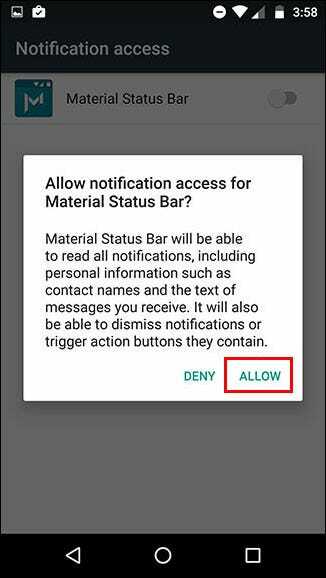 It will double-check to make sure you want to grant Material Status Bar that permission. 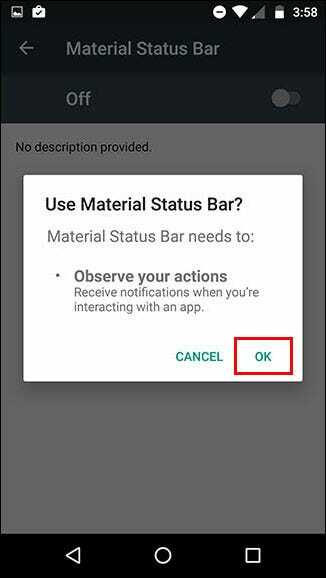 Tap OK.
Next, use your back button to return to the Material Status Bar app and select Notifications. Toggle on the switch in the upper right and then tap allow. And finally, return back to the app again using your back button and select Write. Toggle on the switch in the upper right. You’ve made it! You successfully set up the app. Now let’s play around with it. The main menu of the app has a few options, so let’s run through them. But first, to activate the app, make sure the toggle in the upper right corner is turned on, as shown below. It also can’t do a transparent status bar for any other apps. 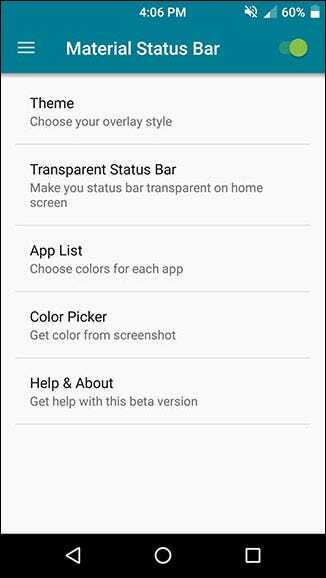 While most apps don’t use a transparent status bar, some–like Google Maps–will lose their transparency and use your default color option. If you swipe in from the left, or tap the three-line icon in the upper left, you can access several more menus. Under Customize, you can make a few more little tweaks that I’ve found really useful, like setting a center clock and showing a battery percentage. Under the Notification Panel menu, you can change how the notification panel looks when you pull down from the status bar. 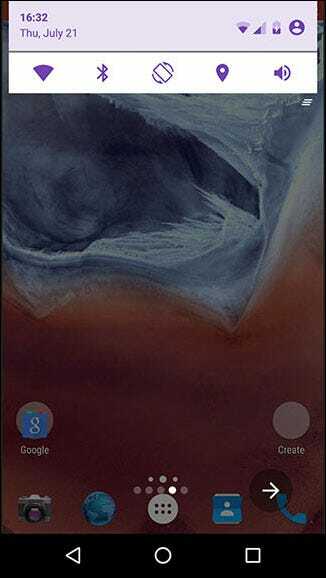 Pre-Nougat versions of Android generally require one swipe down to see notifications and a second swipe down to reveal the Quick Settings. 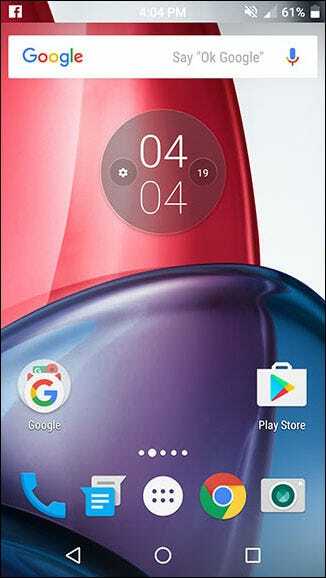 Material Status Bar, however, takes a more Samsung-like approach by having a horizontally-scrolling Quick Settings panel visible at all times. 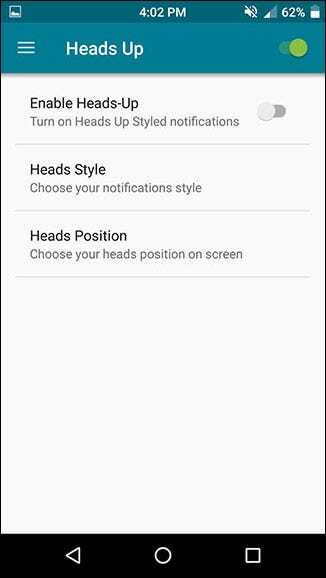 You can also change how the Heads Up notifications function in this app, including the ability to have them appear at the bottom of the screen or just slightly lower so they don’t cover the status bar. The only two “styles” available are dark or light. 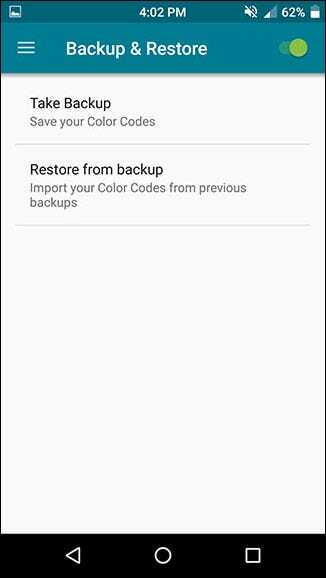 And if you ever move to a new device, flash a new ROM, or have to reset your current device for some reason, you can easily make a backup of the app’s settings and restore them at any time. 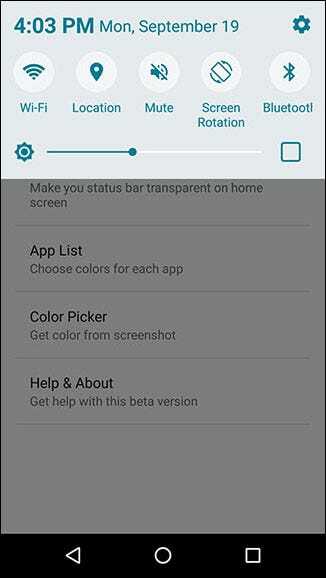 If you have a long list of custom app colors, this could be a huge time saver. Material Status Bar has both a free version and a $1.50 Pro version. The free version, which I tested, is perfectly functional. The most annoying aspect is the rather frequent full-screen ads, but they only happen while you’re in the app. And since you can just set up the app once and then never open it again, they’re really not much of a bother. 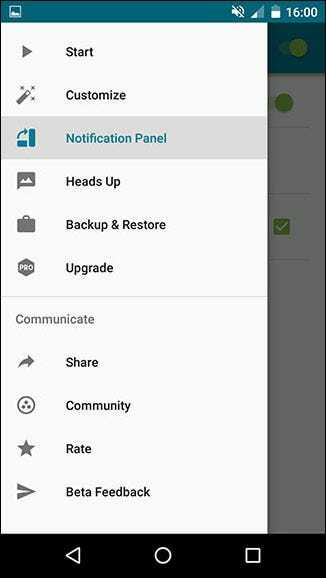 The two major reasons you might want to upgrade to the Pro version are: the ability to use your stock notification panel with Material Status Bar, and access to more notification panel themes. Obviously, it removes ads too. So if you’re unhappy with how the notification panel functions in the free version, it might be worth the mere $1.50 to spring for the Pro version. And that’s all there is to it! 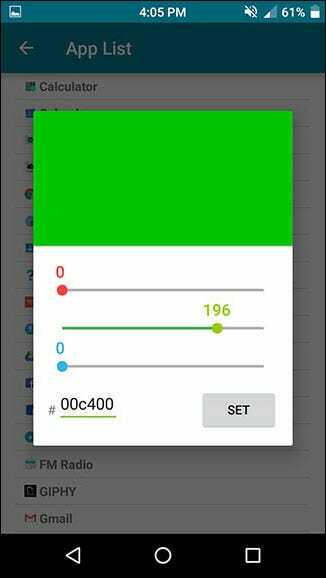 With this little app, you can have a gorgeous, customizable Material Design status bar. 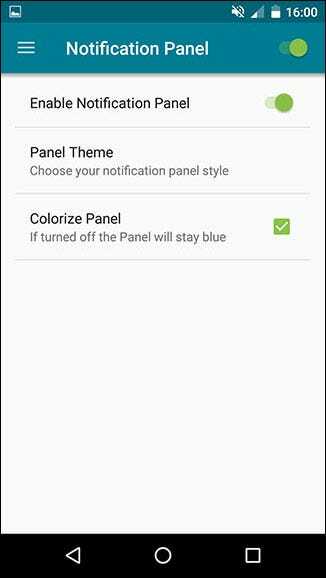 If this wasn’t exactly what you were looking for, you might want to try rooting your device to get some deeper customizations, like the ability to have an Android Nougat-style notification panel. And regardless of what tweak you go for, you can always add some app shortcuts into your notification panel.